CHSR’s 114-page “2018 Draft Budget,” released on March 9, estimates the “Base Case” cost to build the 500-mile L.A. to San Francisco link had reached $77.3 billion, or $155 million per mile. Hill’s team also added — for the first time — a “High Case” estimate that spikes cost by $21 billion to $98.1 billion, or $196 million per mile. Advocates of the 2008 Proposition 1A California High Speed Rail initiative, which was narrowly approved by 52.7 percent of voters, trumpeted that taxpayers could build a bullet train for $37 billion that would whisk 120,000 riders per day in 2 hours and 40 minutes from L.A.’s Union Station to San Francisco’s Transbay Terminal for a fare of just $55. Most transportation engineers thought CHSR’s estimated $15 per passenger-hour cost and massive passenger volumes were preposterous, because CHSR’s so-called bullet trains would travel on rails. The average operating cost for U.S. regional passenger rail service is $85 per passenger-hour, including $60 for operating cost and $25 for maintenance. The world’s most efficient aerodynamically-shaped and magnetic levitation trains have 180 miles-per-hour maximum speeds due to friction and fuel consumption. Their per hour passenger costs are about $50, including for $30 operating and $20 for maintenance. CHSR’s 2018 Draft Budget Plan still estimates 120,000 riders per day, despite raising its estimated L.A. — San Francisco fare to $93 to stay to stay competitive with the LAX — SFO commercial airplane “base fare” of $111.66. But only 6,132 passengers a day take the 1 hour, 39 minute flight and there are lots of plan-ahead fares for as low as $25. 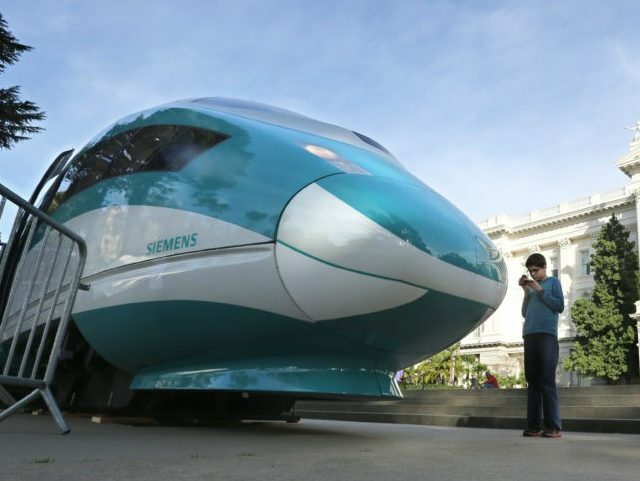 The “Base Case” for CHSR to complete construction of the first somewhat usable rail link to connect Silicon Valley with the Central Valley is estimated to be incomplete until 2029. The whole San Francisco to Los Angeles route is not expected to be done until 2033. The CHSR “High Case” is that the Central Valley link will not be completed until 2033, and the Los Angeles link will not be ready until 2040.